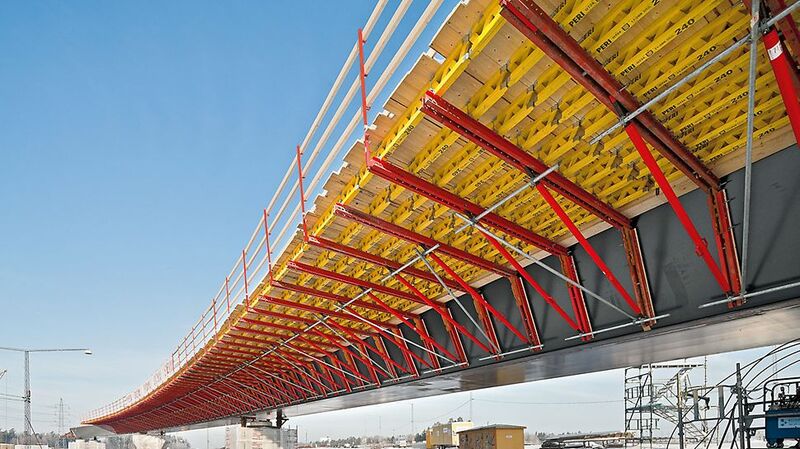 The VARIOKIT cantilever bracket VCB helps with the fabrication of bridge superstructures built according to the steel composite or semi-finished concrete element method. 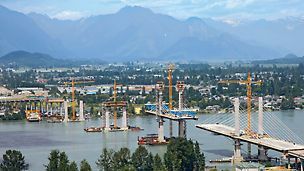 It is permanently fixed to the bridge structure and is moved by crane. 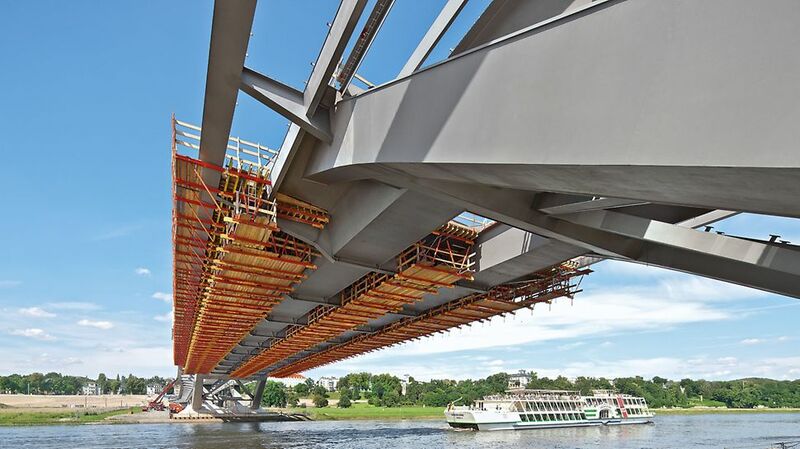 Its main fields of application are usually bridges with a length up to 150 m, since a mobile solution is often not necessary in this case. The completion of the VARIOKIT construction kit with some few anchoring parts leads to rentable solutions for many different applications. 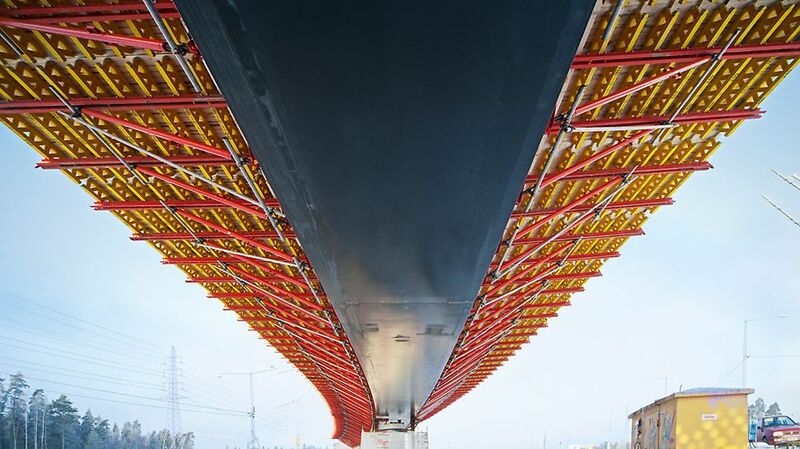 For example, the anchoring can be either operated from below or from above. Following the VARIOKIT principle, the construction components can be optimally loaded due to the selection of the influence width, with the aim of always finding the most cost-effective solution. The bracket can be individually adjusted to the cantilever geometry. 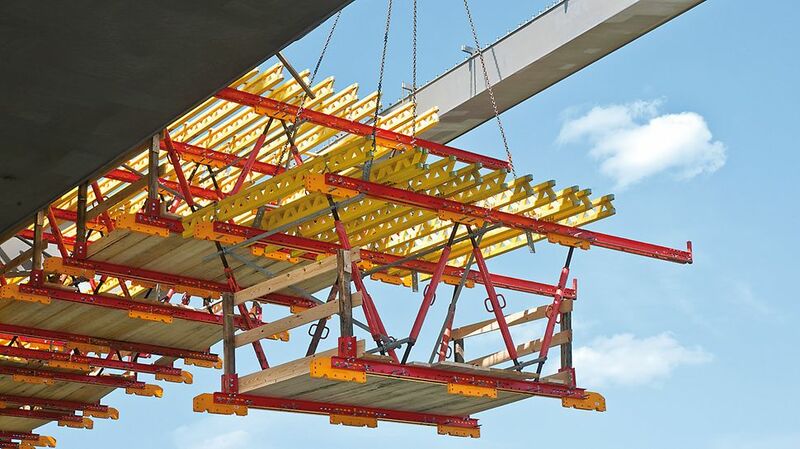 The cantilever bracket can be attached without penetrating the carriageways slab. 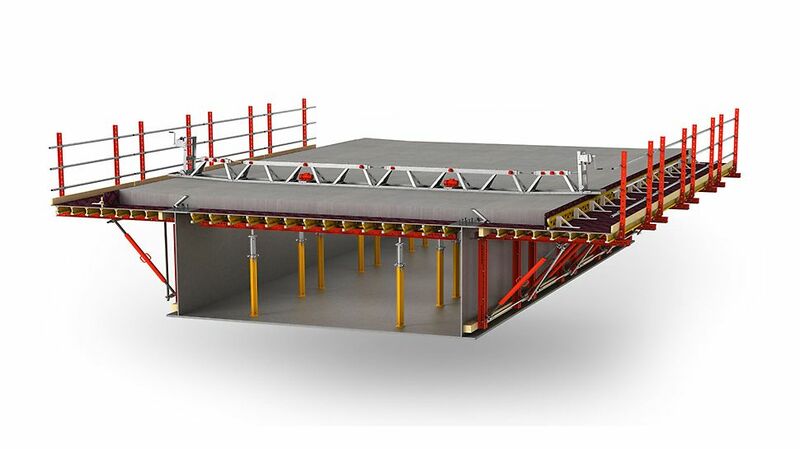 The lightweight formwork units make fast and easy moving to the next concreting section possible with a crane. 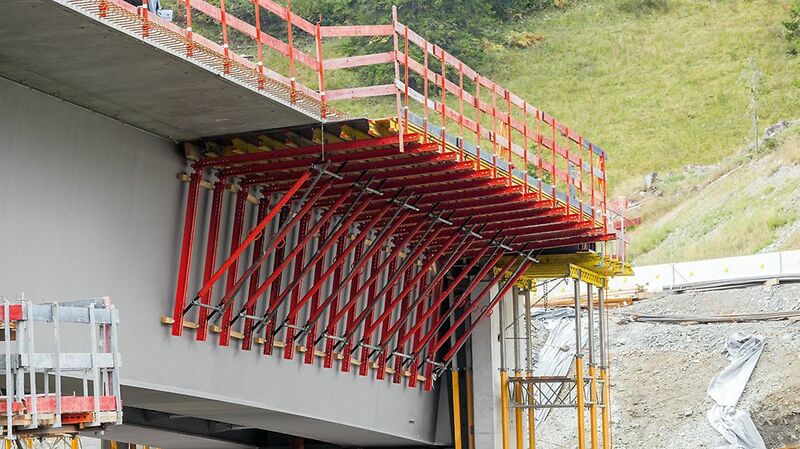 The VCB Cantilever Bracket Solution can be used with both steel structures and concrete supports. The universal VARIOKIT anchor plate can be used for both applications. Mounting for brackets guarantees a clear work area for tasks like concreting, compacting and smoothing. 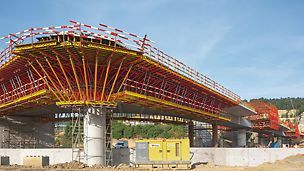 The extremely convenient vibrating beam can be used to compact the concrete, while a mobile smoothing device is used to improve the concrete finish.